The Bridge on FX, reviewed. Could The Bridge do for Ciudad Juárez, Mexico, what The Wire did for Baltimore? 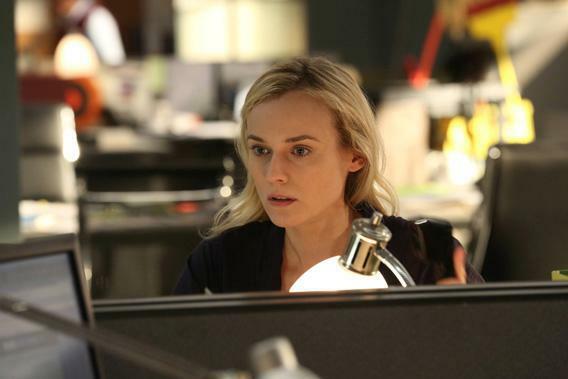 FX’s new series The Bridge, which premieres Wednesday night, is a remake of a Danish-Swedish co-production. It’s a procedural about a serial killer, and it features a lead detective with Asperger’s. In normal circumstances, those would be three serious strikes against it. For once, though, it doesn’t matter that American takes on European shows are usually stretched-out, dumbed-down versions of the originals; that there are more mass murderers on television these days than there are tattoos in Brooklyn; or that autism is as overused on contemporary television as alcoholism was in the Hill Street Blues era. However it came into being, and whatever Nordic traces linger, what matters is that U.S. television has finally gotten around to dramatizing the outrageous lawlessness in Ciudad Juárez, Mexico, just across the border from El Paso, Texas. The first episode begins with a corpse being dumped at the center of the Bridge of the Americas, which connects those two cities. Or rather, two corpses: The high-profile body dump combines the top half of a U.S. judge and the bottom half of a Mexican prostitute. A pair of cops arrive to investigate: Detective Marco Ruiz of the Chihuahua State Police (Demián Bichir), a warm, instinctive charmer; and El Paso homicide Detective Sonya Cross (Diane Kruger), a cold, by-the-book Aspy. She wants to work the case alone; he wants to do it together. It’s a match made in TV heaven. Cross’ specific diagnosis is never mentioned, but it’s clear to Ruiz that there’s something odd about her—she’s a stickler for the rules, an awkward communicator, a loner who hates to remove the earbuds that shield her from the world. Or are their differences just cultural? When Ruiz’s wife asks about his American counterpart, he doesn’t know how to describe her. “I can’t tell if she’s crazy or if she’s just a gringa,” he eventually admits. The Bridge’s big theme should be obvious by now. The early episodes are a relentless recitation of dualities: El Paso, Juárez; American, Mexican; English, Spanish; legal, illegal; corrupt, trustworthy; helpful, harmful; dead, alive, etc., etc. But like the bridge the characters spend so much time waiting to cross, something always connects these apparently opposite poles. All that would have made for turbid, term-paper television if it weren’t for a perfect location. For all their ubiquity, television’s multiple murderers usually present a credibility problem. If a nuclear device exploded in California (24); a sniper tried to shoot the vice president on a quiet Washington, D.C., afternoon (Homeland); or a cult grew up around a convicted murderer, with members butchering new victims every week (The Following), life as we know it would come to an end. There would be wall-to-wall coverage on our televisions, websites, and newspapers; security would be at DEFCON 5. Life couldn’t possibly continue just as before, even if it always seems to on television. In Juárez, though, thousands of young women have been killed or disappeared over the past 20 years, drug cartels battle in the streets, and it was considered good news when 2012’s homicide count dropped to “just” 750. (True, the previous year the tally topped 2,000.) And all the while, the U.S. media doesn’t pay it much mind. So, in this fictional world, when a figure who seems to be connected to the gruesome bridge stunt sends a message to the cops asking, “Why is one dead white woman more important than so many dead just across the bridge? How long can El Paso look away?” it’s a voice that’s worth listening to (even if it comes from a psychopath). In an interview with TV critic Alan Sepinwall, Stiehm was bold enough to admit that she and Reid modeled their version of The Bridge on The Wire. That’s an insanely ambitious admission, but based on the first three episodes, it doesn’t seem like a crazy comparison. Through a series of complicated, interconnected portraits of criminals, cops, and civilians, The Wire told the story of one city. Maybe The Bridge can do the same for two.